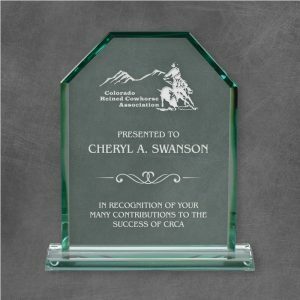 Donor Appreciation Art Glass Award our carefully selected art glass represents inspired works of art and a master display of craftsmanship all in one. 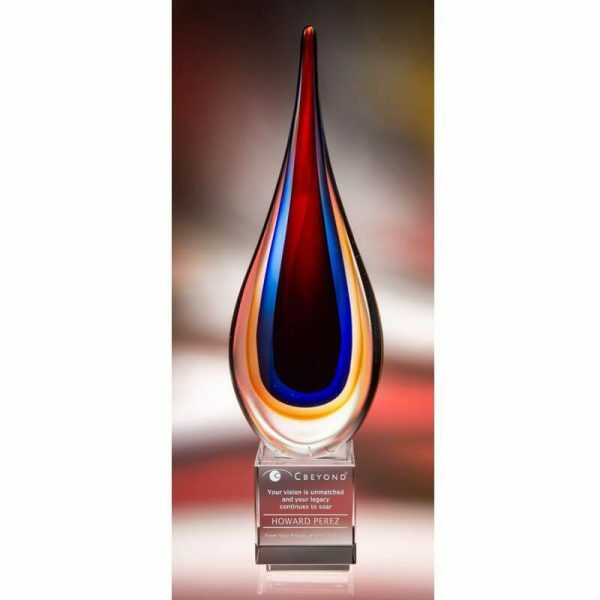 Torchiere Art Glass Award is crafted with stunning colors. 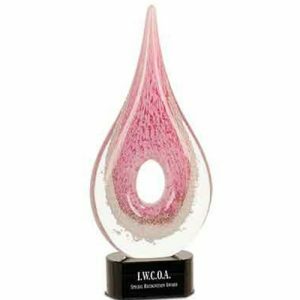 These magical pieces feature lyrical swirls, rhythmic patterns of suspended air bubbles, and free flowing forms that make for fascinating conversation pieces. Each one-of-a-kind award is elevated perfectly on its optic crystal base. 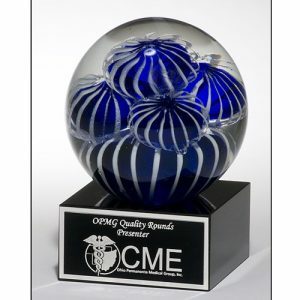 Please be aware that all pieces of art glass are individually crafted and will vary, as well as have minor imperfections. 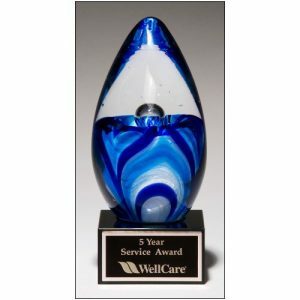 Donor appreciation is just one of many presentations this beautiful art glass award can be used for. Do you have questions about proofs, how to send logos or anything else? Call us now. We are a 46 year old family business with cheerful, knowledgeable people ready to chat, email or talk to you on the phone! 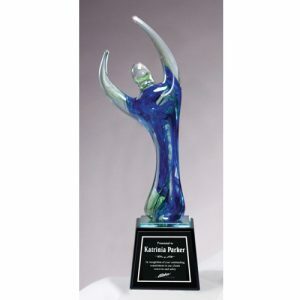 LOOK HERE for other art glass awards! Let us know how we are doing by rating your shopping experience HERE.